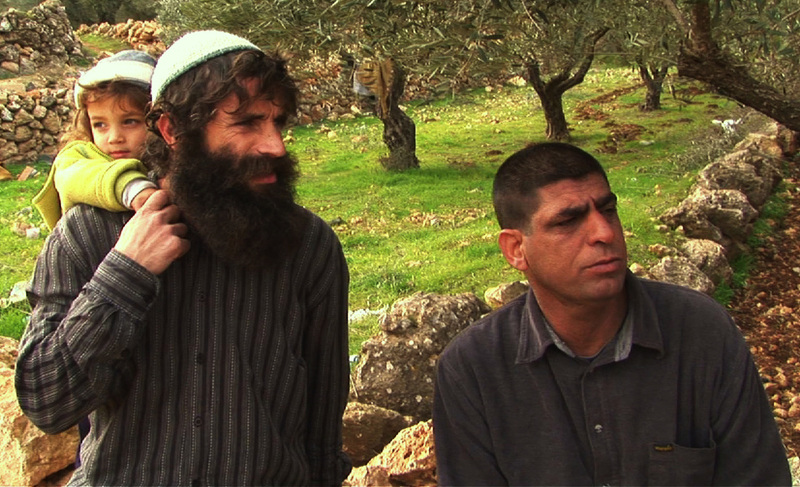 A documentary movie and a movement: courageous people on the ground in the West Bank. "The land doesn't belong to us, we belong to the land." You can host a screening in your community, synagogue, mosque, university or community center. “A Third Way” is the only feature film on the unique "settler rabbi for peace," Rabbi Menachem Froman. It also focuses on both West Bank settlers and Palestinians who are inspired by his work (including the activist Ali Abu Awwad), continuing courageous activism in the West Bank. Do you want to help bring our story of courageous activists to your community? Most screenings are followed by an audience discussion with the director and some of the activists. Contact us below - for more info on hosting a future screening - our movie is an ideal discussion vehicle for diverse audiences interested in Israel/Palestine. Email us at jerusalemnewyork@gmail.com, or call 972-50-212-8132. "A Settler and a Palestinian - Equal or Unequal?" "A Jew Shouts Allahu Akhbar"